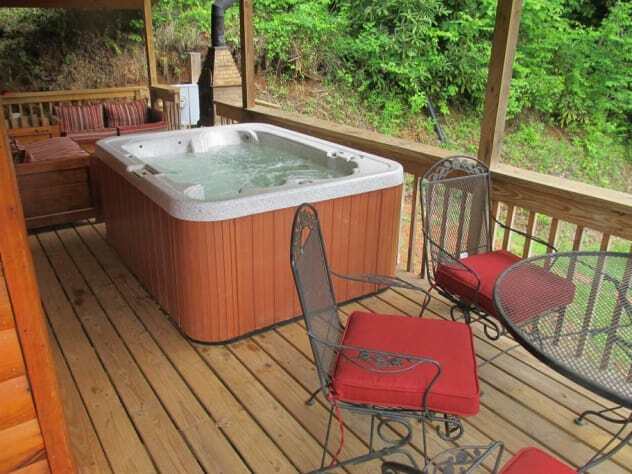 When booking online with this property you have our Guarantee* that this is a verified owner. 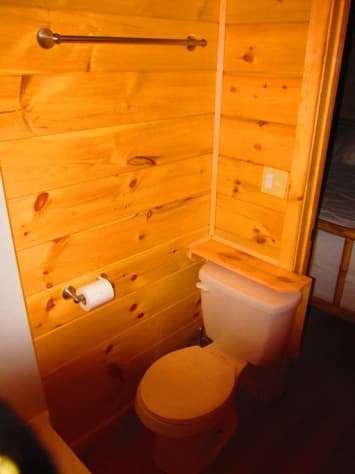 Book with confidence. 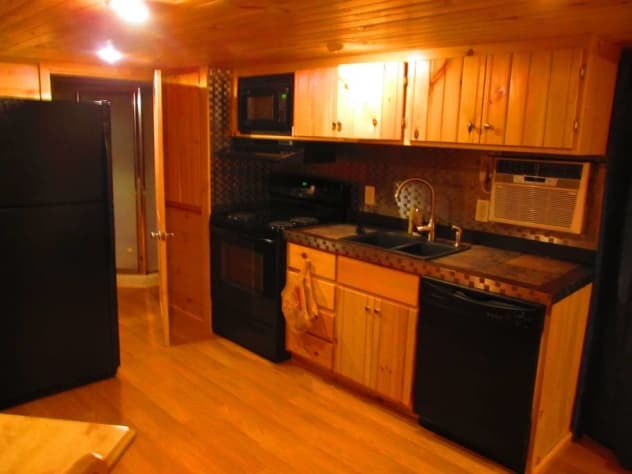 You can read our full Guarantee here. 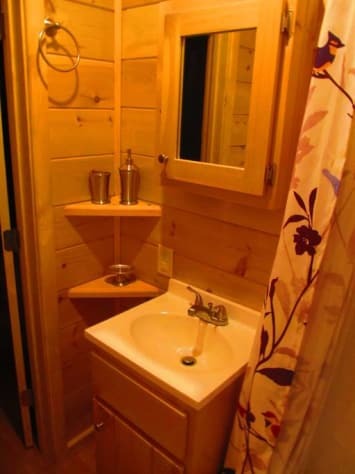 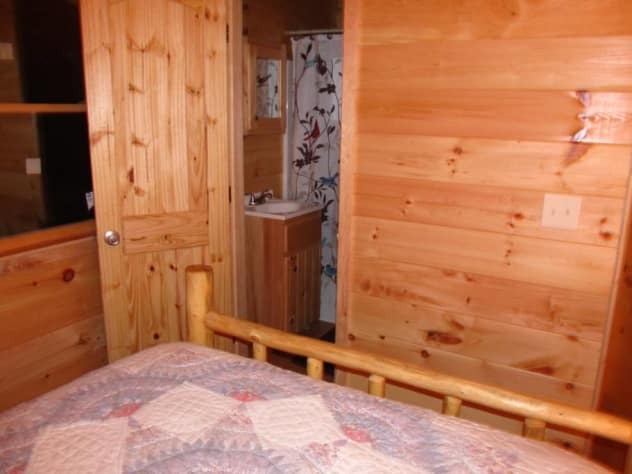 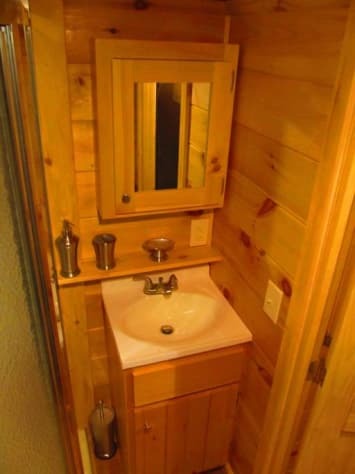 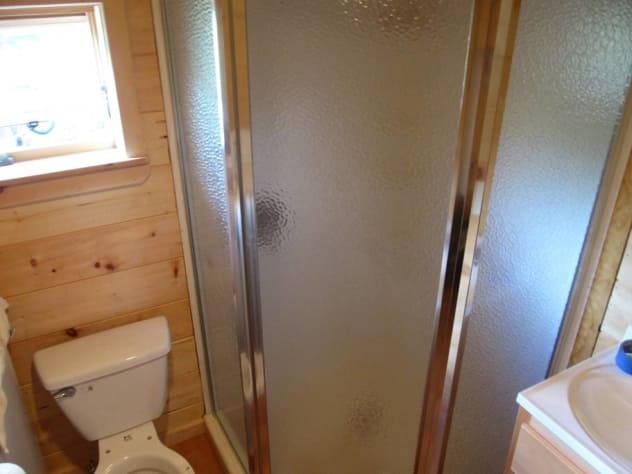 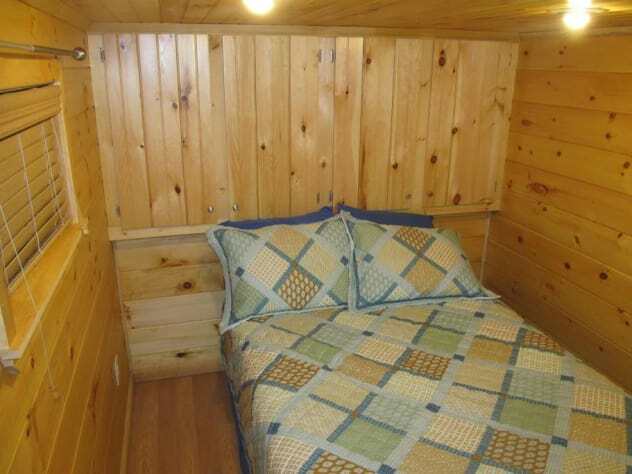 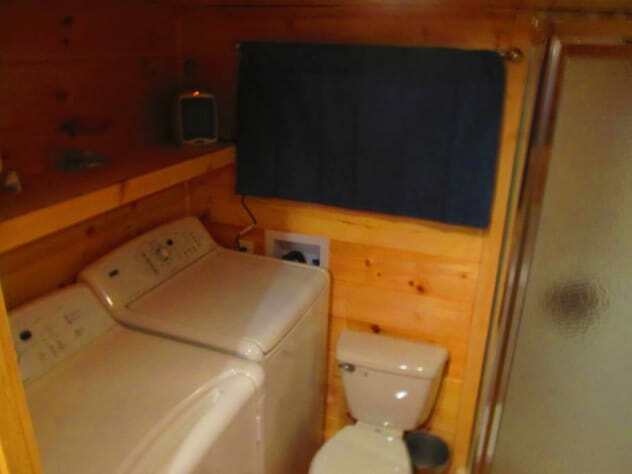 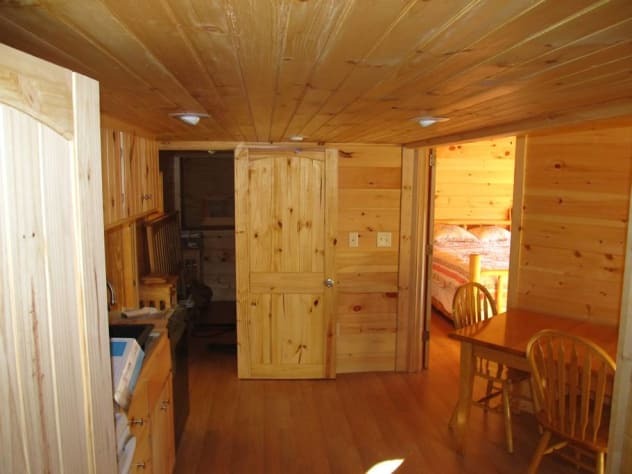 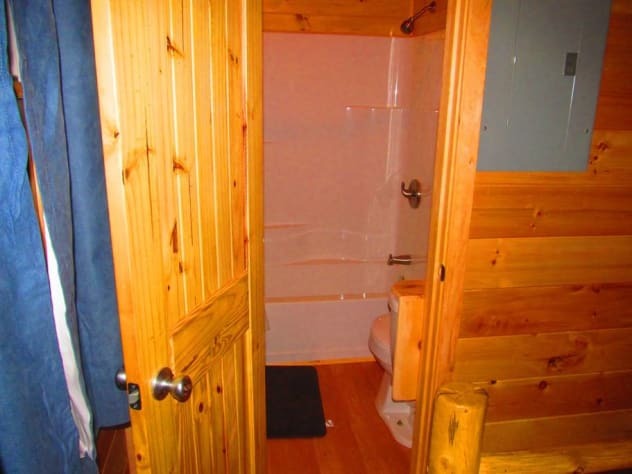 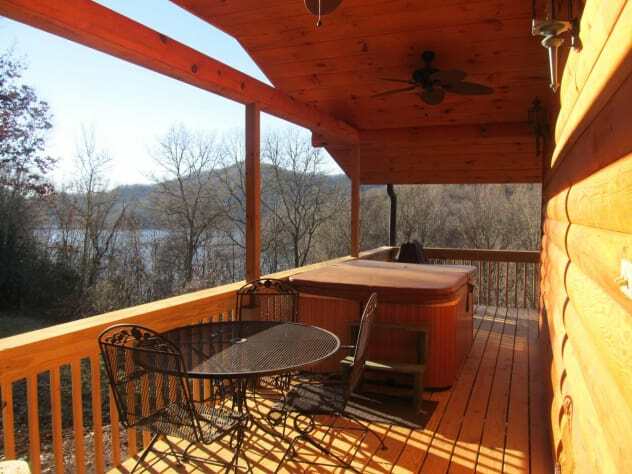 Secluded Lake View Cabin with Hot Tub and Canoes on the Lake! 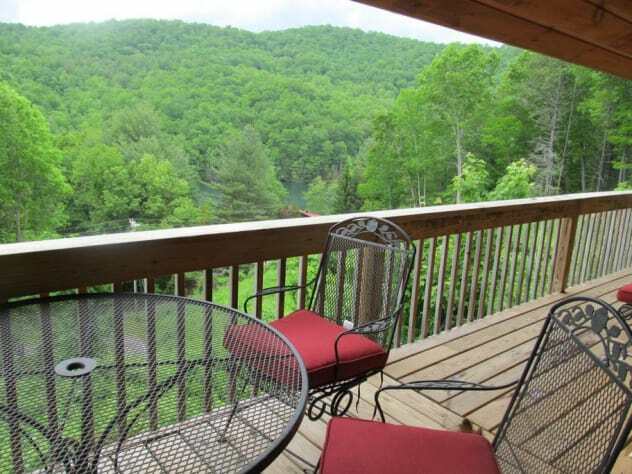 Fantastic private lakeview getaway! 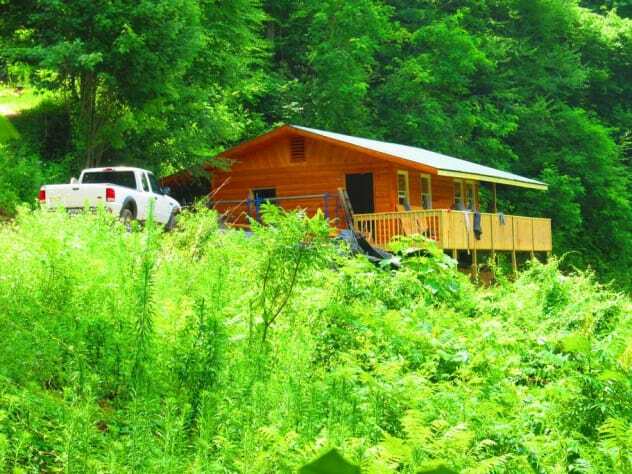 Not many cabins in sight from this romantic one bedroom getaway! 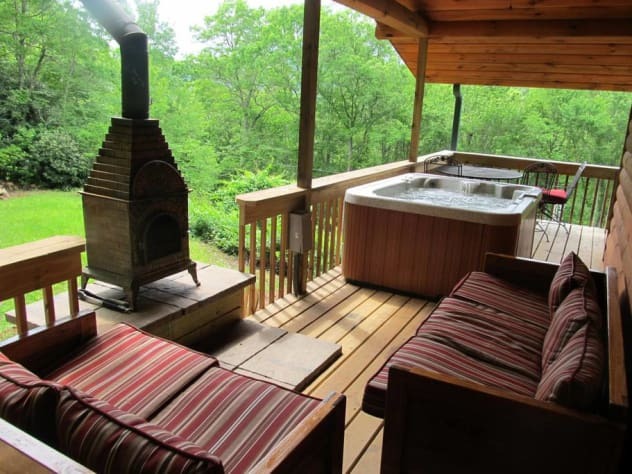 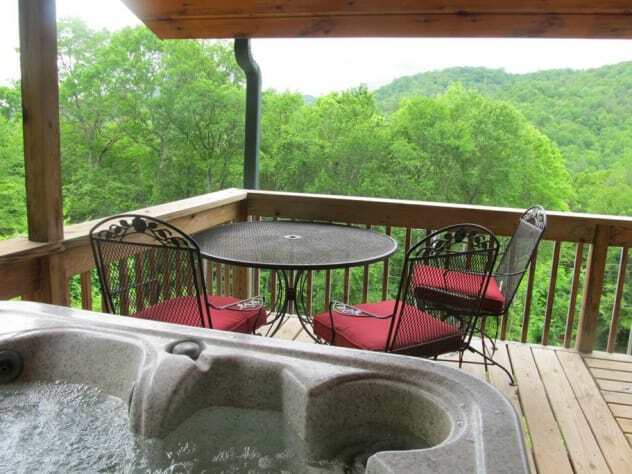 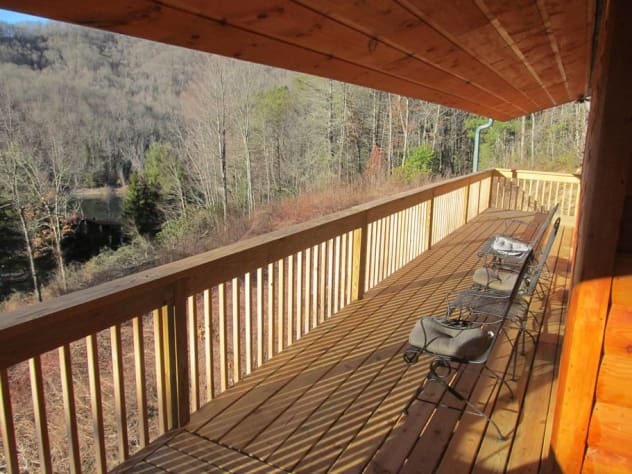 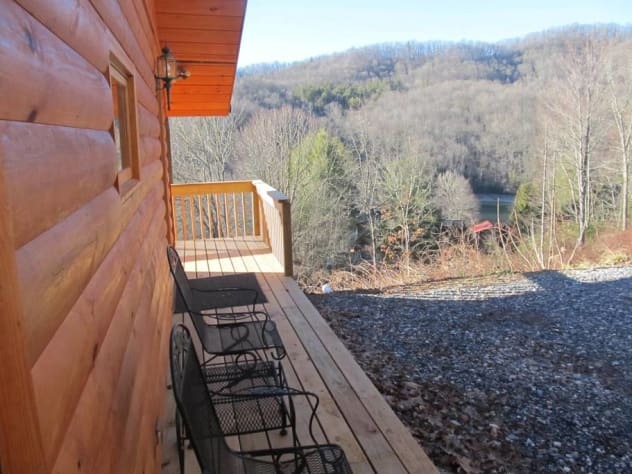 The view from the covered deck/porch, in the hot tub, overlooking Lake Nantahala is inspiring! 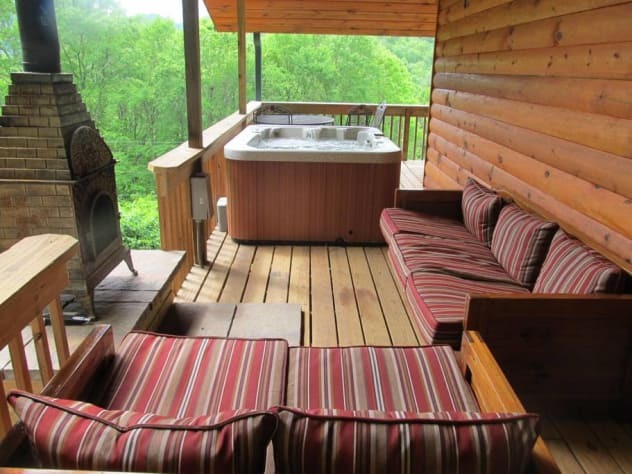 You and your loved one will have the time of your life! 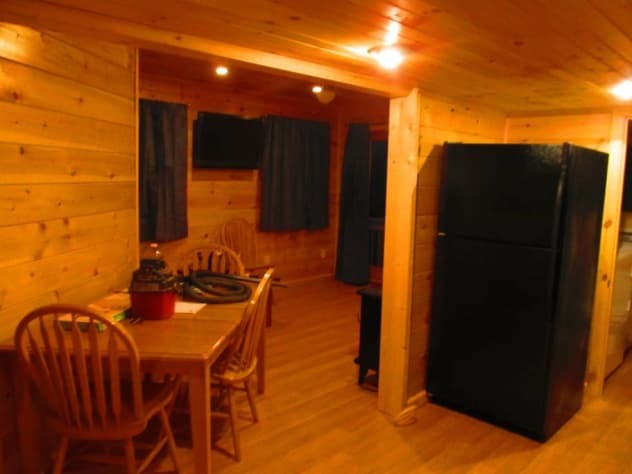 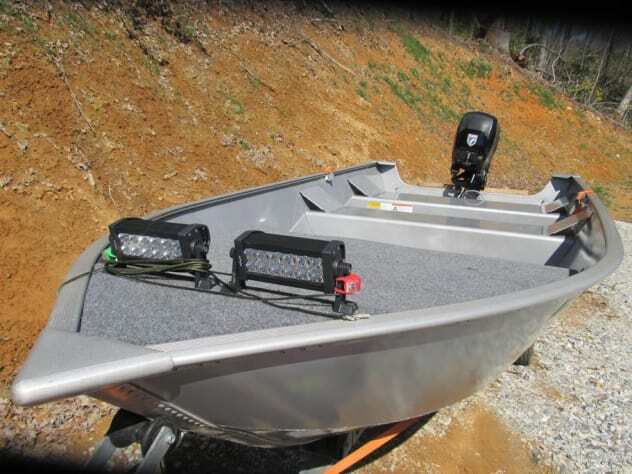 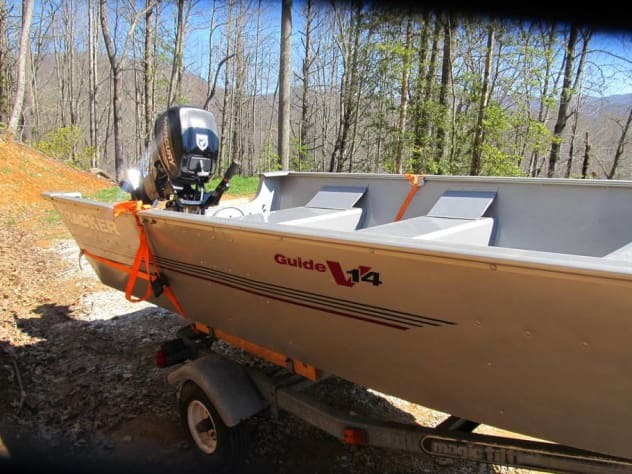 You can swim,fish, tie up your boat at our private lake area and you can also rent a boat from the marina, (it's in walking distance) for a relaxing time on the lake!